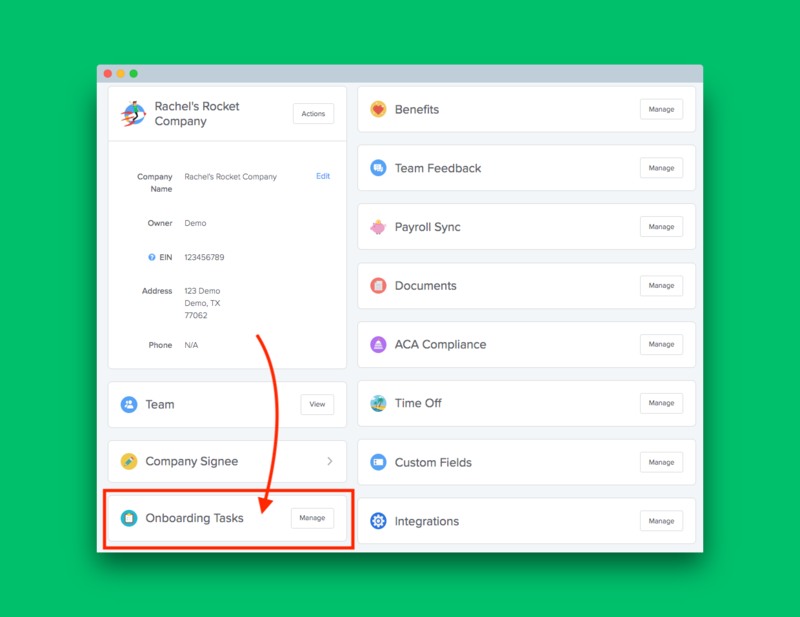 (Admin) How do I create & assign an Onboarding Task? 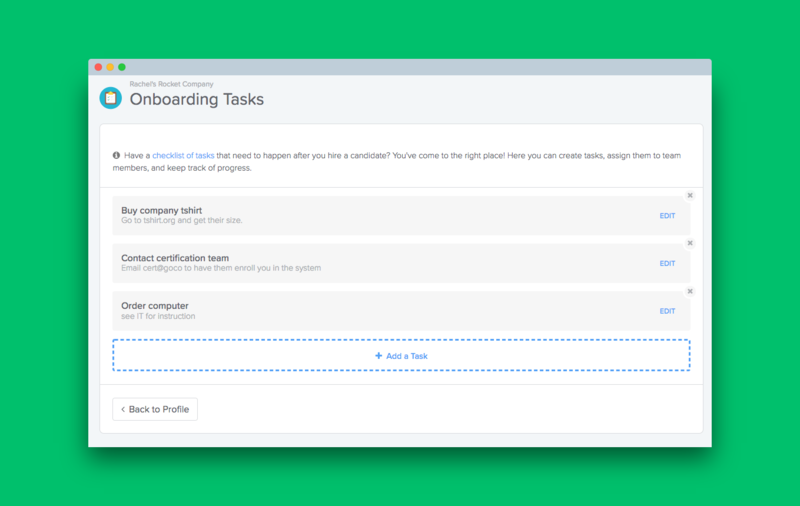 Onboarding tasks are a great way to incorporate other workflows into the hiring process in GoCo. Some example Onboarding Tasks include creating an email account, getting an ID badge, and ordering a computer. 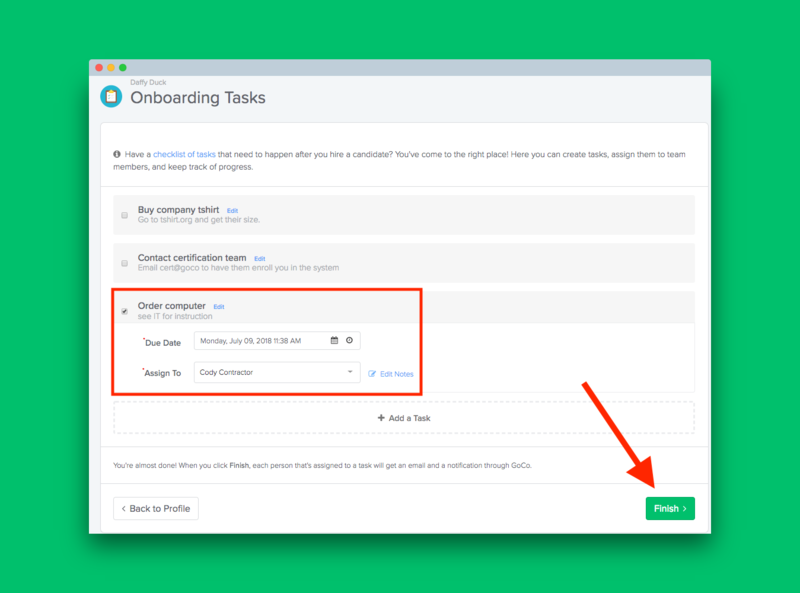 You can add tasks to your company page and assign them to a team member with a due date. Now your tasks are ready to be used and assigned! 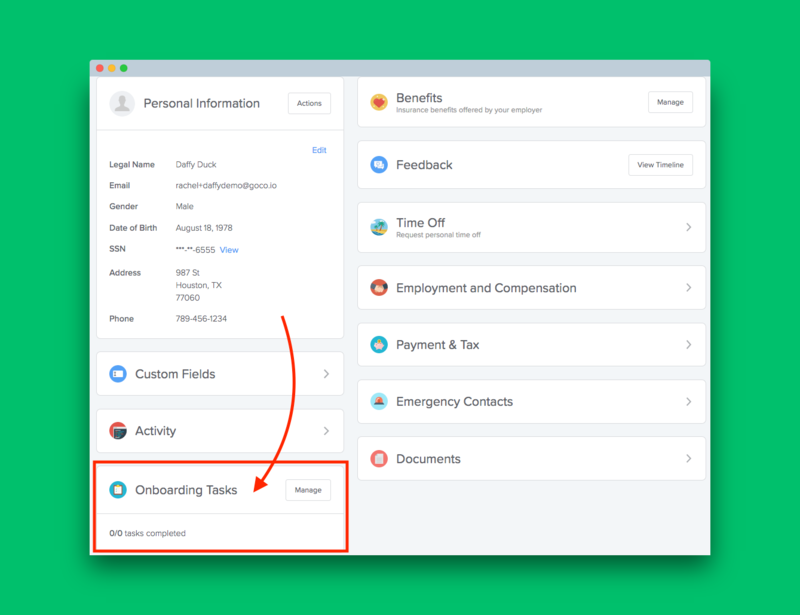 Once you hit Finish, a notification will be sent to that assignee. They will then be asked to check off the task to mark it complete. The task will then show as completed on the employee profile. Please contact help@goco.io with any other questions!